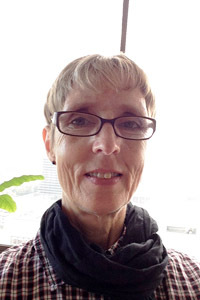 Mary Anne Hillier, EdD, is currently teaching the secondary English curriculum and content area reading courses at the USC Rossier School of Education’s Master of Arts Teacher Education program. Dr. Hillier has also taught English in the secondary public schools for 30 years. She worked on the state English end-of-level tests, statewide reading and writing strategies teacher training programs, and cross-curriculum literacy training. She taught teacher-training courses for Utah State University, Brigham Young University/Public School consortium, and Southern Utah State University before teaching at the University of Southern California. Dr. Hillier has been on accreditation committees, awarded 3.5 million dollars as a grant writer. She has also been a public information chair, and chaired faculty support committees and English departments. She was on a committee that published a district-wide book filled with student quotes from all grade levels. Her classes were responsible for publishing three books of interviews from military veterans from the following wars: World War II, Korea, Vietnam, and Desert Storm. Her research is in reading in the secondary schools, creating a motivational classroom, and finding ways of making assignments relevant. Dr. Hillier received her EdD from the University of Southern California.